The other night, my boyfriend asked what was for dinner, and I told him panko-breaded chicken breast, roasted corn, and a mixed green salad. He had no idea what panko breadcrumbs were and couldn’t wrap his head around why I’d use panko instead of regular breadcrumbs. I was dumbfounded, since panko is one of my go-to ingredients. 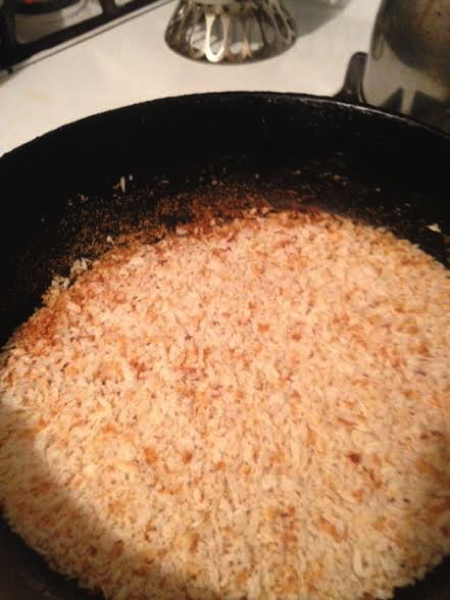 For those of you who are like my boyfriend, and don’t understand panko or its uses, read on! 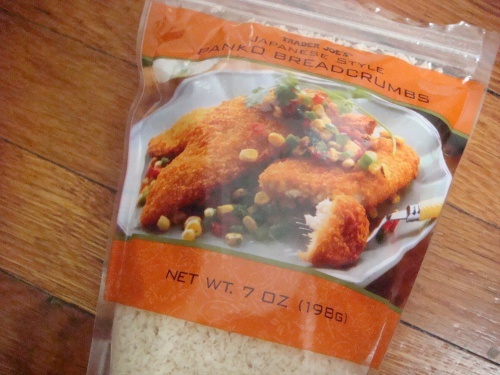 You can find a bag of panko at Trader Joe’s. I’ve found that the bag is plenty, and lasts me through a few meals.